At Honeysuckle Dental, we provide a comprehensive range of teeth whitening treatments aimed at improving the appearance of your smile. The team at Honeysuckle Dental, led by Dr Andrew Nixon provides high-quality teeth whitening treatments from its state-of-the-art dental practice in Newcastle, New South Wales. 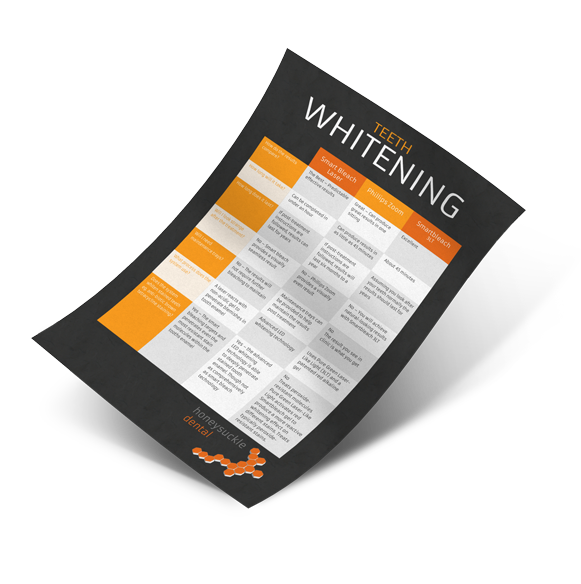 Download our FREE Comparison Guide to discover which of our teeth whitening methods is most suitable for you.